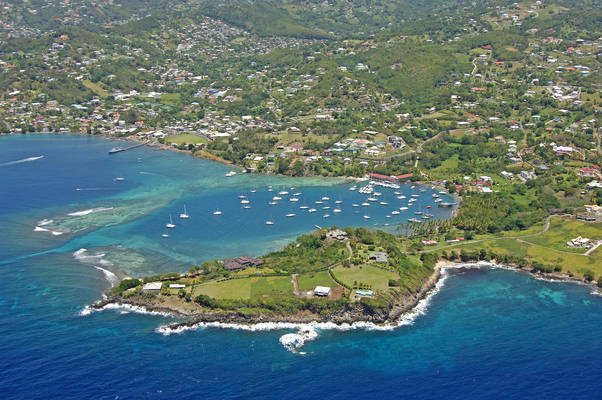 Blue Lagoon is located on the southern portion of St. Vincent Island in the St. Vincent and the Grenadines island chain. It is the northernmost island of the group. Blue Lagoon is only an 8-mile journey from Admiralty Bay on Bequia Island to the south and 40 miles south of St. Lucia. Inside the lagoon is a protected area with anchorage room and rented moorings. 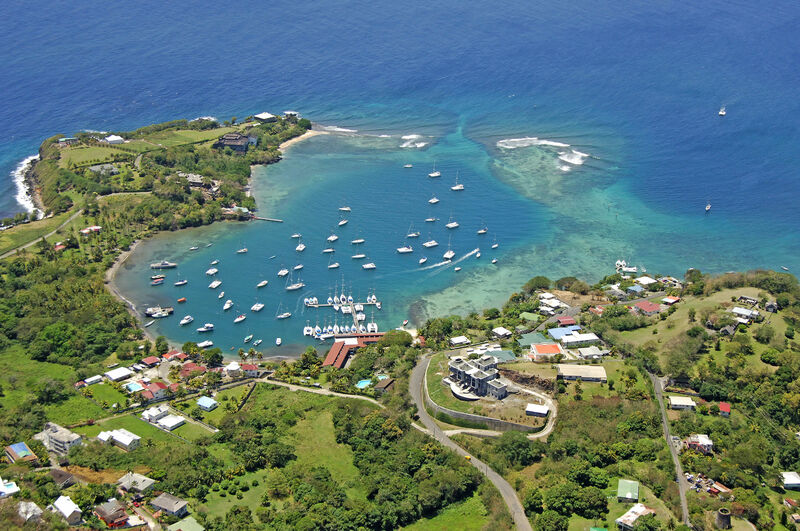 Ashore is a well-equipped but small marina, a couple of charter outfits and a handful of excellent restaurants. Blue Lagoon is protected by an extensive reef that has two breaks in it. Even when the wind clocks out of the south, the reef dampens the swells and the anchorage remains relatively comfortable. Although the image above appears to show the primary channel into Blue Lagoon at the bottom, it is entirely too narrow and is dangerous to use. If you look closely at the left side of the image above, you can see the set of markers that defines the west entrance, which is the one you will want to use. Once clear of the break in the reef, proceed into the anchorage and pick a spot that is a safe distance from the other boats in the anchorage. 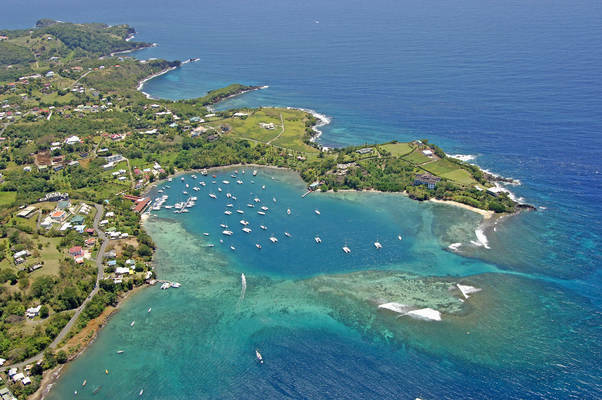 There is a marina with transient slips and limited repair capabilities and SunSail also has an operations base in the lagoon. 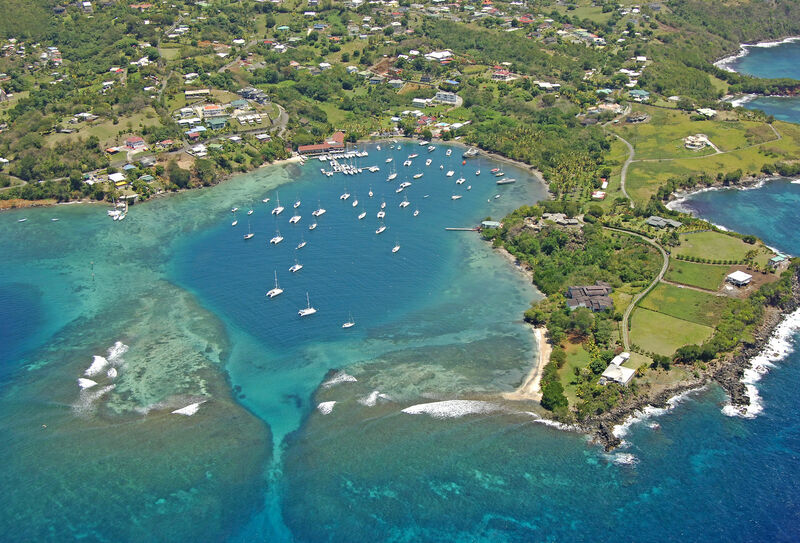 Twenty moorings in the lagoon are administered by the TMM Charter Company. 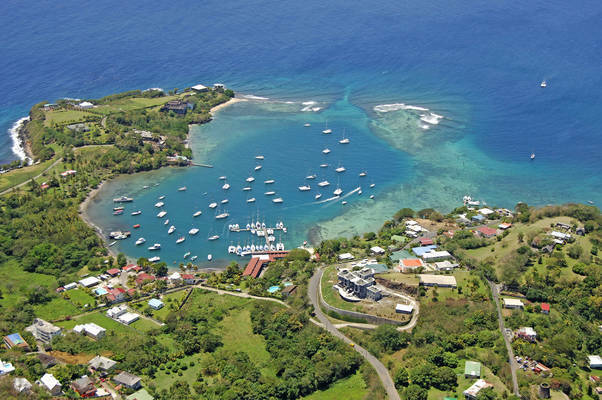 St. Vincent and the Grenadines Ministry of Tourism and Culture. No reviews yet! Be the first to write a review of Blue Lagoon.